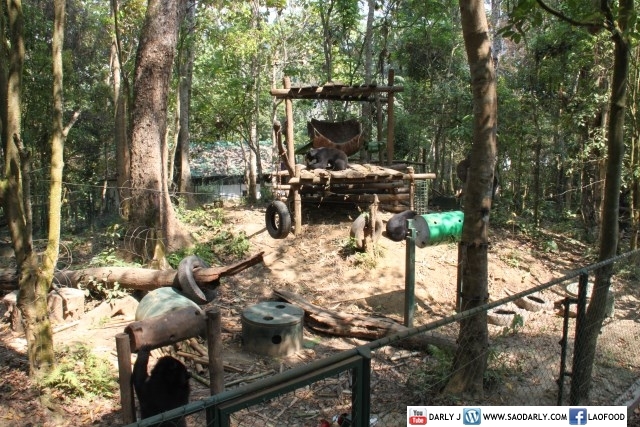 The Bear Rescue Center is a short walk from the entrance at Kuang Si Waterfalls. 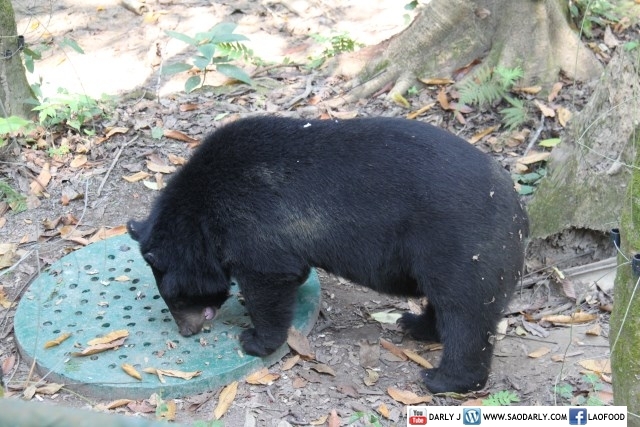 These Asiatic black bears have been rescued from the poachers. 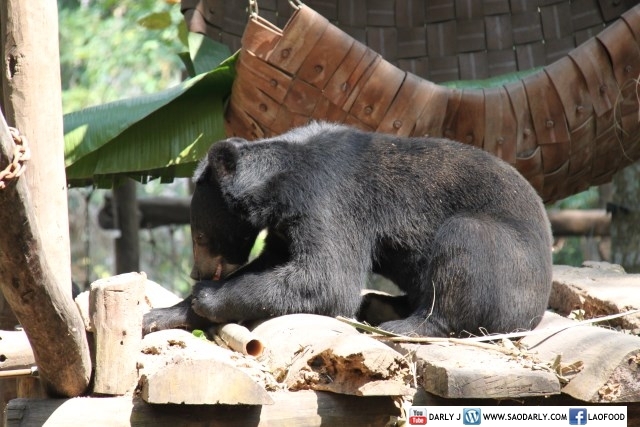 They are endangered species and very sought after in the illegal wildlife trade. 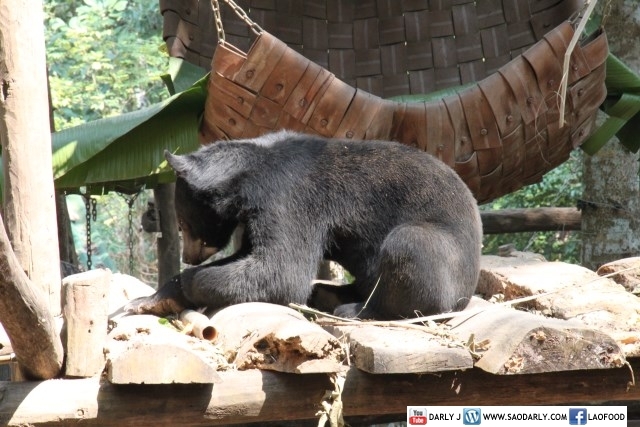 Asiatic black bears are used in traditional medicine trade, restaurant trade or as exotic pets. 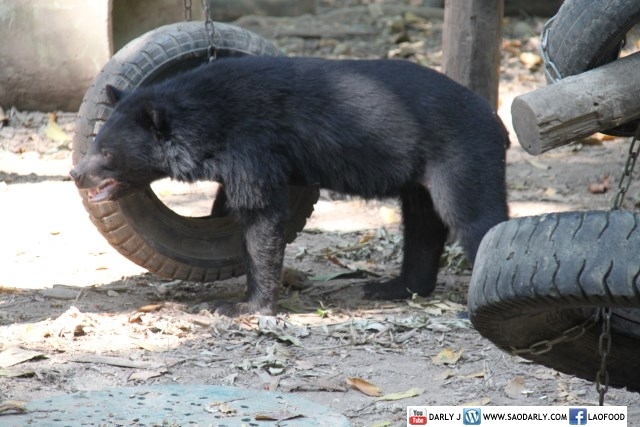 It’s so sad to hear the stories about what these bears went through. 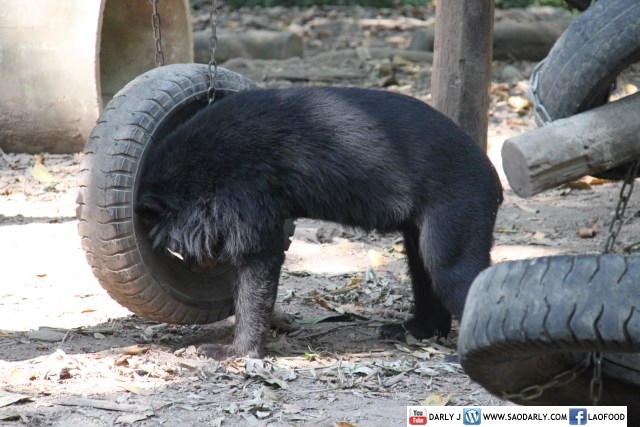 They are now safe thanks to the center and if you can and able, be sure to lend your support to the center so these bears can live a normal and happy life.